Like any author who tours for a book, I realize now that I did not do a few important things while I was out in New York and Baltimore last week. Here is a list of my regrets. I regret not getting a T-shirt from BookCourt or Word (or McNally Jackson–a store that carries Future Tense titles and therefore gets extra love and admiration from me). I was at The Strand on my last day there and thought about getting a T-shirt from there, but I prefer the other stores much more. 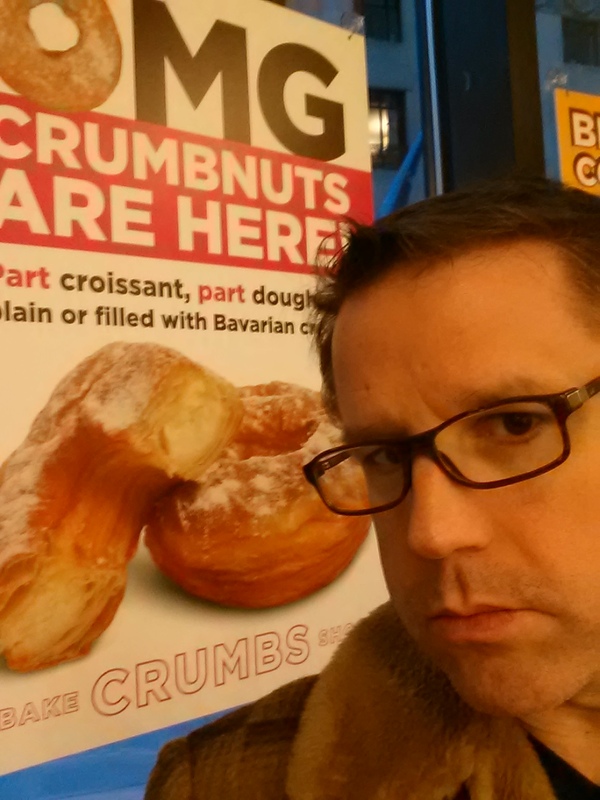 I regret not having another “cronut” at Crumbs (The famous croissant doughnut hybrid. I guess they call them “Crumbnuts”). All the cupcakes looked pretty damn good too. I regret not getting a 2nd slice of pizza at My Little Pizzeria in Brooklyn before my BookCourt reading. I regret not taking pics with some of my friends like Sean H. Doyle, Jeffrey Yamaguchi, Joseph Riippi, Chelsea Hodson, Jason Diamond, Julia Fierro, Marc Odo, Beth Lisick, David Moscovich, and Leah Umansky. I regret not checking out more of the grungy side of New York. 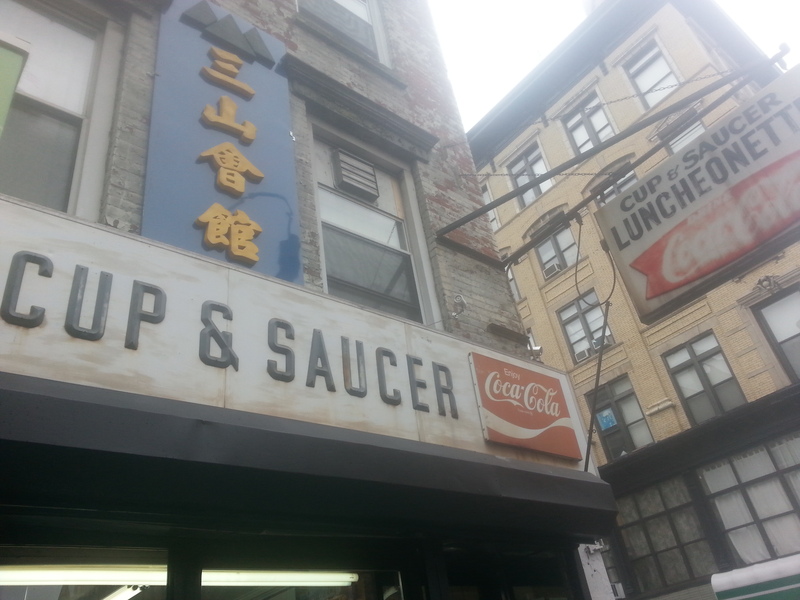 The New York Cup & Saucer is pretty different from the Portland Cup & Saucer. 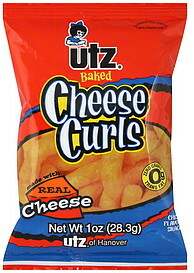 I regret not bringing home some UTZ Cheese Curls. I tasted some of these goodies after my reading there and was instantly addicted. Kind of like Cheetos, yes, but with a seemingly sharper cheddar taste. I regret not seeking out some Old Bay, which is “a Baltimore thing” I was told. 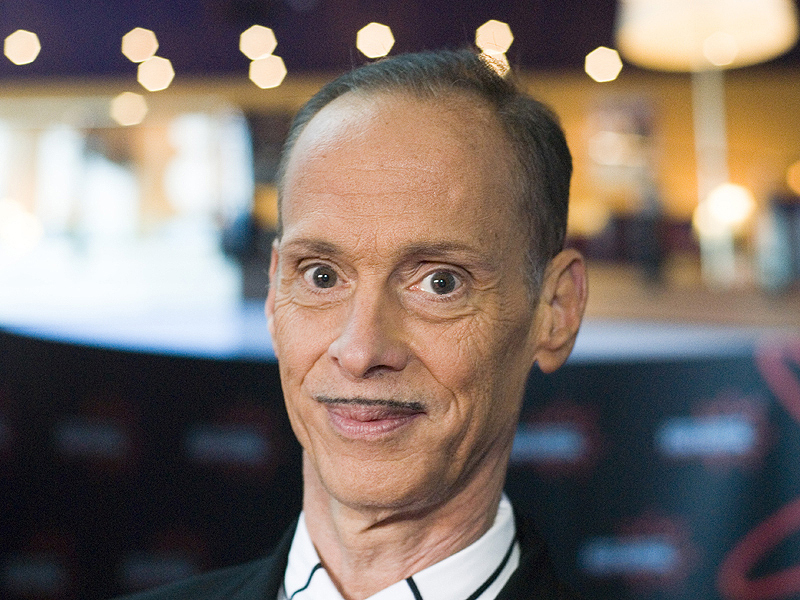 I was also told that it’s tied for first (with John Waters’s mustache) for the best thing from Baltimore. I regret not bringing a razor to shave with. I probably looked like a hobo by the end of my trip. I regret not spending more time in Baltimore. 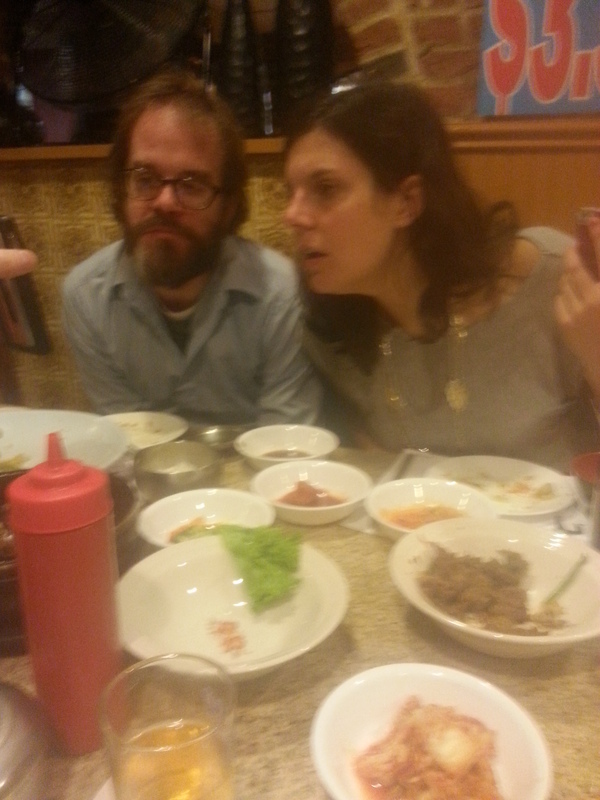 Sharing cell phone cat photos with Adam Robinson, Amy McDaniel, and Michael Kimball (out of frame). I regret not doing Karaoke with Adam Robinson and Amy McDaniel. 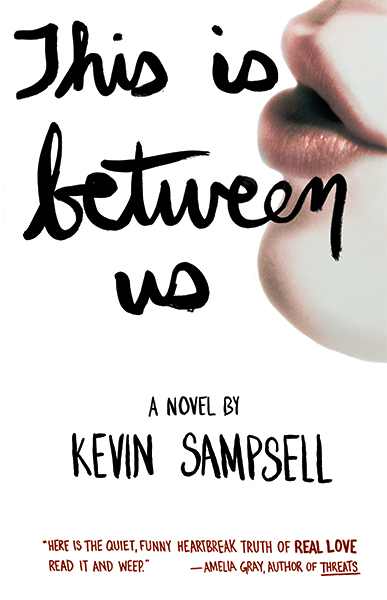 This entry was posted in Uncategorized and tagged Adam Robinson, Amy McDaniel, book tour, BookCourt, Cronuts, John Waters, McNally Jackson, Old Bay, UTZ, Word Bookstore. Bookmark the permalink. 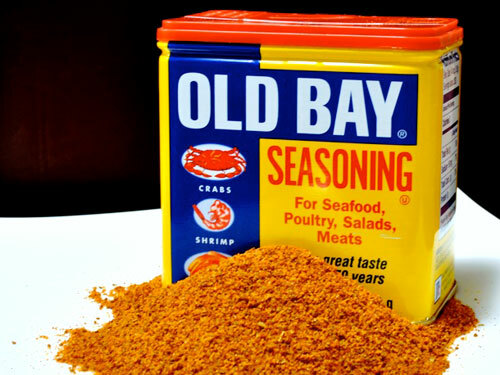 One less regret…you can buy Old Bay seasoning here. It’s been a staple in my house all my life. Safeway probably has it. That Korean meal was epic. I don’t regret that at all. It was awesome to hang. Thanks for coming! That’s Nam Kang isn’t it. I regret missing that. I regret not knowing you were on the east coast! I can gladly get you a t shirt from McNally’s when I see you at AWP. What a great post! That pizza was yummy.